Despite the global economic slow down, the US remains one of the larger markets for cleanrooms and contamination control products. 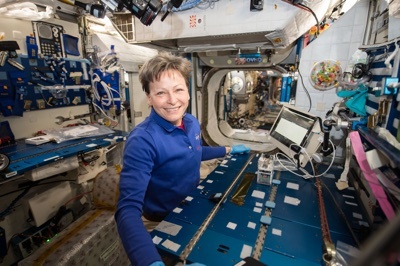 Recent austerity measures have seen space budgets slashed and the semiconductorelectronics and solar/flat panel sector has also declined recently, but spending on healthcare and R&D is on the increase, while nanotechnology could provide a further boost to the cleanroom market. The US has always been big on superlatives – the best, the biggest – now the nation is also excelling in the smallest with its growing nanotech sector. Susan Birks reviews the country’s cleanroom-related sectors to see where the growth is. Despite being severely affected by the global economic slow down, the US remains one of the larger markets for cleanrooms and contamination control products. According to market research group McIlvaine, its consumables market was estimated to be in the region of US$1.4bn in 20111 – smaller than Asia’s fast-growing market, but larger than Europe’s. The US was one of the pioneering nations in the development of cleanrooms and cleanroom standards during the early evolution of its space and electronics industries. 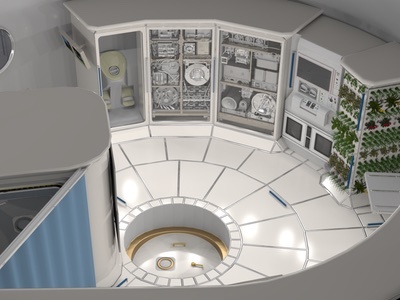 Recent austerity measures have seen space budgets slashed, however, and both sectors are now fighting to retain their position in today’s competitive arena, curbing cleanroom investment as a result. On the other hand, the US boasts one of the biggest spends on healthcare and medical devices and as a result more and more medical device assembly and packaging cleanrooms are being built around the country to serve this dynamic sector. The US is also leading in areas of science, such as nanotechnology and biotechnology, where supersize R&D budgets are providing cutting-edge research facilities. 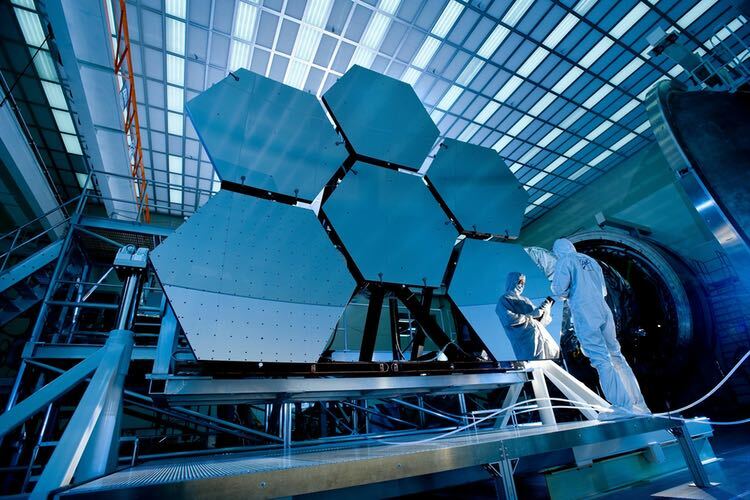 NASA has been the driver behind many cleanroom technologies and inventions, since adopted by other industrial sectors. But under “sequestration” – the fiscal policy of automatic spending cuts to reduce budget deficit – the space agency faces cuts of $1.3bn next year. 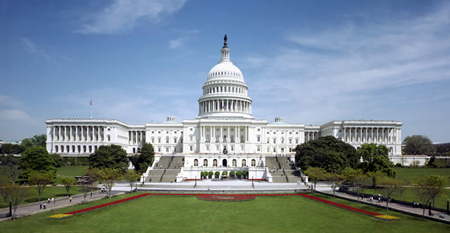 A report by the White House’s Office of Management and Budget shows the automatic cuts for all federal agencies if Congress and the White House cannot agree ways of cutting costs. 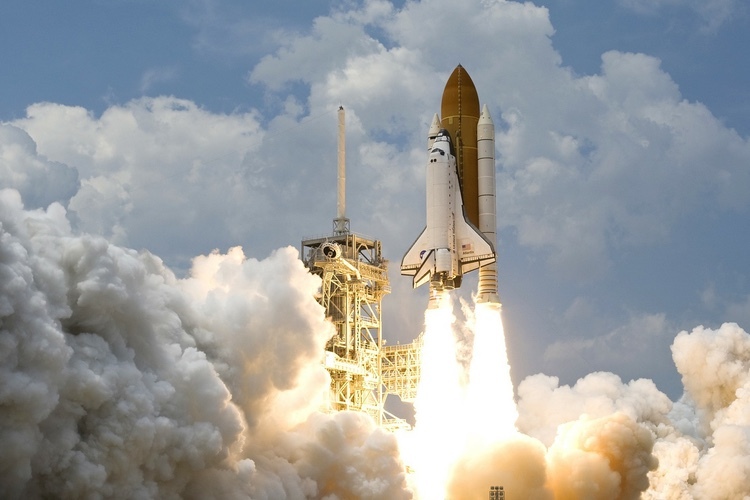 The US space agency was allocated $17.8bn for 2012, $648m less than 2011.2 In spite of these cuts, the extent of its budget is still coveted by many countries. 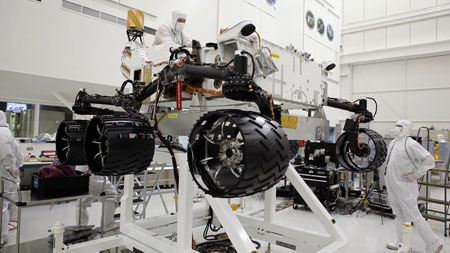 Engineers install wheels on the Curiosity rover in the cleanroom at the NASA Jet Propulsion Laboratory in Pasadena, California. The US electronics and solar/flat panel sector has also recently lost some of its sheen. Despite the Solar Energy Industries Association reporting that the US solar energy industry had its second-best quarter in history, having installed 772 megawatts (MW) of solar electric (PV and CPV) capacity in the second quarter 2012, (a 125% increase on Q2 2011),3 the manufacturing sector for solar panels is suffering over capacity and low price competition from Asian markets. Most industry commentators agree that 2013 and 2014 will see a significant number of consolidations, plant closures and market exits from thin film firms. The once booming “Silicon Valley” has long since lost out to the fast-moving market for semiconductor fab real estate in Asia. However, the US does still boast some of the leading players (Intel, Global Foundries etc.) Today, however, more and more companies have adopted a “fabless” model, in which production is farmed out to foundries such as TSMC, UMC, Winbond and even Samsung. Despite the recession, revenues for semiconductor companies are forecast to rise 3% to $329.8bn from $321.4bn in 2011, according to a mid-year update to IC Insight’s 2012 McClean report.4 Furthermore, the report suggests semiconductor companies are expected to increase their R&D spending by 10% in 2012, to a record $53.4bn. Twelve semi-conductor companies broke the $1bn R&D expenditure barrier in 2011 for the first time ever. The biggest R&D spender in the semiconductor industry is Intel, which alone accounted for 32% of the expenditure by the top 10. Supplier companies such as Axcelis Technologies, headquartered in Beverly, Massachusetts, are feeling the benefit of the industry’s spend. Axcelis has recently signed a five-year contract with an un-named leading semiconductor manufacturer valued at $30m. Under the contract, it will support a full suite of Axcelis implant, cleaning and thermal processing equipment at multiple fabs in the US. The company says it will manage a range of programmes to enhance system productivity and capital efficiency, including all aspects of tool maintenance, spares and consumables management and reporting. Turner Construction Co, meanwhile, has been named by Global Foundries as the general contractor for a $2.3bn expansion of the computer chip factory’s cleanroom in Malta (US), beating both M+W US and LeChase Construction Services for the contract. Construction started last month and is expected to be finished in December 2013. 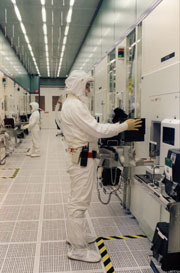 Although Turner built the shell of the original massive chip fab, it was M+W US that was responsible for the 210,000ft2 cleanroom inside, the hyper-hygienic space where computer chips are manufactured. Now, Turner’s office in Albany will build the cleanroom expansion. The shake-up of the US healthcare system could also mean new winners and losers for suppliers to this huge sector. The US is the only wealthy, industrialised nation that does not have a universal healthcare system and in 2010, some 16.3% of Americans (49.9 million) were without health insurance.5 However, in 2010 President Obama succeeded in signing his healthcare reform bill into law, which will eventually extend health insurance cover to an estimated 32 million Americans. In spite of its lack of a universal healthcare system, the US spends more per capita on publicly funded healthcare than almost every other country in the developed world – including countries that provide free healthcare to all citizens.6 Healthcare expenditure in the US was nearly $2.6 trillion in 2010, an average of $8,402 per person7 – more than twice that of the relatively rich European countries that provide universal healthcare. At an estimated $105.8bn in 2011, the US medical device market is the world’s largest and per capita expenditure, at $339, is the third highest in the world.9 The country is home to many leading medical device manufacturers, such as Johnson & Johnson, General Electric, Baxter, Covidien and Medtronic. Seven out of the world’s top 10 medical device manufacturers are US companies, although many of them use cheaper locations abroad, such as Ireland or Mexico, to re-export to the US market. While the pharmaceutical sector may also benefit in part from the “Obamacare” policy, this sector is facing other challenges. Patent expiries and the introduction of low-cost generics will reduce spending in the next few years. Market research company Espicom projects that the US pharmaceutical market will see only moderate growth between 2011 and 2016. The companies face increasing legislation and rising costs and drug prices are under huge pressure. This is leading to a decrease in volume manufacture as global companies shift production sites to cheaper areas. Biologic companies will, however, gain some impetus with a 12-year data exclusivity provided by the new healthcare regulation. The automotive market is another sector providing growth for cleanroom suppliers. The increasing use of electronics and other technologies means component assembly and emission testing increasingly require a clean environment. The automotive market was one of the early casualties of the global recession but it is starting to see recovery and rapid product development towards more sustainable hybrid and electric cars is changing manufacturing rapidly too. As a result, investment is returning. According to the magazine Automotive News10 at the beginning of the year, GM, Honda, BMW, Nissan, Mazda, Ford, Chrysler, Toyota and Volkswagen all said they would add or expand plants or boost production by adding factory shifts in the US. Volkswagen is currently evaluating where to locate its Audi plant in North America and the US is hopeful of securing this investment. Daimler is also studying the prospects for another North American plant with its strategic partner Nissan, and Volvo is studying the possibility as well. Intel technicians monitor wafer progress through the Fab using automated measurement tools. 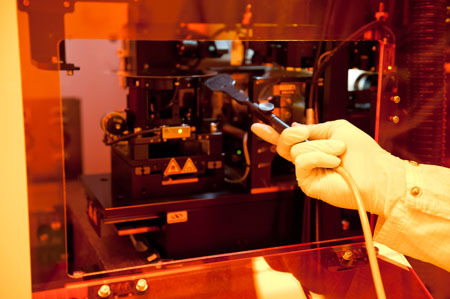 One of the engineering/science sectors heavily reliant on this spend is that of nanotechnology. For example, the National Science Foundation (NSF) recently announced an award to the University of Texas at Austin and its partners to establish a new NSF Engineering Research Center (ERC) focused on nanoscale manufacturing and systems to make the performance promised by nanomaterials and nanotechnologies more pervasive. The NSF will invest $18.5m in the Engineering Research Center over the next five years. Further north, The Nebraska Center for Materials and Nanoscience at the University of Nebraska-Lincoln (UNL) is to get a new 32,000ft2 research facility. The Voelte-Keegan Nanoscience Research Center provides centralised research facilities for more than 80 physics, chemistry, engineering and other faculty members from the colleges of Arts and Sciences and Engineering. UNL boasts one of the nation’s leading nanomagnetics research groups, expertise in laser-assisted nanotechnology and is home to a Materials Research, Science and Engineering Center, established in 2002 with funding from the NSF. In addition to the Voelte-Keegan gift, a $7m competitive federal grant from the National Institute of Standards and Technology, and a university commitment, funded the $14m building. As a result of its thriving nanoscale research community, the US remains proactive in setting working standards and particularly in establishing ISO standards that extend particulate classification into the nanoscale region. The first standard in the series will focus on classification of air cleanliness by nanoscale particle concentration and a proposal for development of the standard was recently approved by the US Technical Advisory Group (TAG) and 13 other national bodies during balloting through ISO/TC 209. The new ISO nanotechnology series is proposing to take a similar path to the ISO 14644 series of cleanroom standards, but expand the classification range. While material is included in both ISO 14644-1 and -3 for airborne particles smaller than 100nm, the material will now be removed from the ISO 14644 Standards to the new series. In the proposed Standard series, the term nanoparticle signifies any object with one, two, or three dimensions in the nanoscale. The US-based Institute of Environmental Sciences and Technology (IEST),12 an international society for the environmental sciences: contamination control serves as both the Secretariat to ISO/TC 209 and the Administrator to the US TAG to ISO/TC 209. It is one of the main cleanroom sector related associations for the US and its large membership is testament to the size of America’s still growing, but changing cleanroom sector.